Before Rob Bell. Before C.J. Mahaney. Before these two became lightning rods for controversy within the Christian conversation, Tullian Tchividjian was commanding attention of the same electrical sort (note: I am making no judgment here as to the merits of any said controversies). And out of the fertile soil of this turmoil grew a couple things: a man closer to his God, a man further from his idols, and finally a book. Jesus + Nothing = Everything is that book and we are thrilled that Crossway Books has made it possible for us to give our readers a chance to win it in our Advent Giveaway. Publisher's description: Jesus + Nothing = Everything is the equation that Tullian Tchividjian took away from a year of great trial and turmoil. 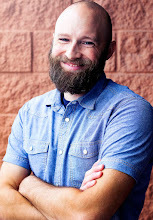 He describes the bitter divisions that soured the beginning of his pastorate at Coral Ridge Presbyterian Church and the personal anchor that he found in the overwhelming power of the gospel. The book of Colossians forms the basis of Tchividjian’s call for Christians to rediscover the gospel and continually reorient their lives around Jesus and only Jesus. Tchividjian insists that many who assume they understand the gospel fail to actually apply its riches to their lives. He takes particular aim at self-righteousness, which motivates moral behavior by fear and guilt. In contrast, the gospel of grace, with the radical freedom that it brings, provides the only sustainable motivation for Christians. 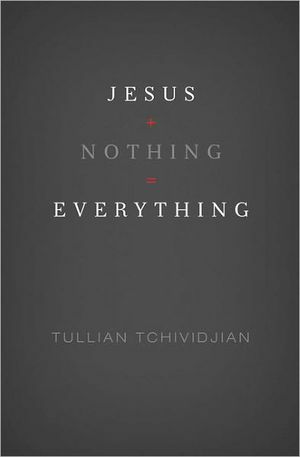 This book delves into the profound theological truths of the gospel, yet the message is intensely practical—Tchividjian sounds the call for believers to lean hard on Christ in every area of every day. My favorite verse is John 1:14, "The Word became flesh and dwelt among us, and we have seen his glory, glory as of the only Son from the Father, full of grace and truth." The whole first 18 verses of this chapter have just been so helpful in my life and 14 is a major part of that! Genesis 3:15 because it is the first promise and it is beautiful to dwell on that first promise and the fulfillment of it by the birth, life, death and resurrection of the Offspring. There might be others I'd choose at a different time, but right now I love this.